Yesterday some footballing history was made. Costa Rica guaranteed their best World Cup showing (worst case, they go 2-1-1) and Greece scored first in a World Cup game for the first time ever. But nobody is talking about that. See the bite mark there on Giorgio Chiellini’s shoulder? 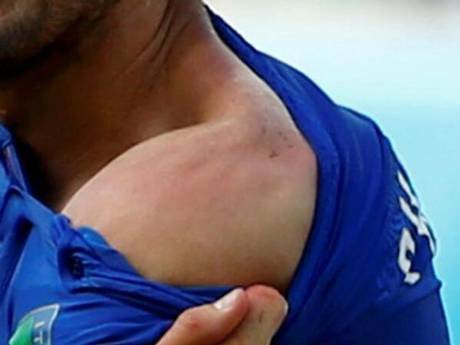 Uruguay striker Luis Suarez bit him. Let me repeat that. He BIT him. And this is not even the first time, but it is at least the third time Suarez has done this. The referee was conveniently the only one of the seventy thousand people in that stadium who didn’t see it, and waved ‘play on’. In the ensuing chaos, with the Italian team still shocked and reeling over what had just happened to their teammate, Uruguay captain Diego Godin got the ball in the back of the net. 1-0 to Uruguay, final whistle, and the Italians are out of the Cup. Unfair? I certainly think so. It was a blatant act of violence, categorically against the rules of the game, and it changed the game enough to dramatically affect the result. Will any kind of justice be done? FIFA are not known for dispensing harsh penalties, especially to established stars whose performances help to boost their brand. For this as a third offence, I personally feel that Suarez deserves a lifetime ban from professional soccer. There is simply no place for that kind of conduct in sports. In practice, I’ll be surprised if he receives anything worse than being suspended for the remainder of this tournament. I would personally advocate a replay of the game, with Suarez suspended. That would allow the progress of either team based on merit. A 1982 ruling mandates that the last group-phase games in a group be played simultaneously to avoid a situation where teams can rig a result to mutual advantage – but in this case, the result of the other game would be a moot point. Costa Rica were already through. England were already out. A replay would stay within the spirit of the 1982 ruling. FIFA have brought disciplinary action against Suarez, and a ruling must be handed down before Saturday, when Uruguay would play their next game. Let’s hope that decency wins the day. We’re coming up on crunch time. By the end of Thursday, half of the teams in the World Cup will be eliminated. Let’s look at how things stand in each group – who will go through, and who will face the chop. In Group A, Cameroon are out of the picture. They do have the potential to cause an upset, though, since the other three teams are very close together – Brazil and Mexico on four points apiece and Croatia right behind them on three. If somehow Cameroon were to beat Brazil by two or more goals, and Croatia and Mexico tied, Brazil would be eliminated. In all likelihood, though, that won’t happen. I expect Brazil to get a win today, and then it comes down to whether Croatia can be the first to put a ball past the magnificant Memo Ochoa in the Mexican goal. Croatia need a win to join Brazil in the round of 16, Mexico can go through with a tie. Personally, though, I’m betting on Croatia to find a way through, and progress in second. For this group, I’m standing by my original prediction of Brazil – Croatia – Mexico – Cameroon. Group B provided the biggest shock of the tournament so far, with Spain being eliminated after only their second game. Sadly, but expectedly, Australia went with them. At this point, it’s just a matter of who goes through first and whom second. A tie will see the Netherlands through in first, whereas Chile have to win. I’m betting on the Oranje to come out on top, though, for a revised projection of Netherlands – Chile – Australia – Spain. And so to Group C, where Colombia have already booked their passage, but any of the others could still join them. Ivory Coast are the next best placed, and a win over Greece will see them through regardless of the other result. Solid wins for both Ivory Coast and Japan could even be enough for Ivory Coast to claim the top spot – but I don’t see Japan prevailing over Colombia, so I’m going to call this one as Colombia – Ivory Coast – Japan – Greece. *sigh* England are out. Group D offered up a surprise package in Costa Rica, who were widely expected to prop up the group, and are instead three points clear at the top with qualification to the next round already sealed. Italy and Uruguay are facing off tomorrow for the right to join them, which means at least one more footballing powerhouse will be getting an early flight home. At this point, I think Italy are the more likely of the two, and the only question is whether they can score enough goals AND have England beat Costa Rica in order to move top. That doesn’t seem likely to me, so I’m giving my revised prediction as Costa Rica – Italy – Uruguay – England. Group E has been unexpectedly entertaining, with France romping to two large wins and scoring eight goals in the process, a tally matched only by the Netherlands so far. It is still mathematically possible for Ecuador and Switzerland to take the two qualifying spots, but it would involve Ecuador beating France by at least four goals and Switzerland also beating Honduras by a similar margin. The latter seems possible, but the former is a tall order. I’m revising my original prediction and calling this as France – Ecuador – Switzerland – Honduras. There is a possible wrinkle for the ages developing in Group F, where a 1-0 win for Argentina over Nigeria and another 1-0 win for Iran over Bosnia would leave the middle of the group so tightly tied that Iran and Nigeria would literally have to draw lots for the privilege of progressing to the next round. Neither of those scorelines are all that unlikely, based on the results so far. I’m confident in calling an Argentina win, and thereby top spot in the group. Bosnia are eliminated at this point, and so it’s very much down to whether Iran can prevail over them. If either of those scorelines above is 2-0 rather than 1-0, that single goal would be enough to send Iran through. Lots at stake here, and I’m going to call this (also rather revised) as Argentina – Iran – Nigeria – Bosnia. Group G has produced some truly amazing moments already – last night, in the 93rd minute, the USA were headed for an historic victory over #4-ranked Portugal to seal their own progress. They were sadly denied by a last-minute goal, but are still very much in the running, level on points with top-placed Germany. A tie between Germany and the USA will see both teams through, and you could perhaps forgive the Germans if they did one final favour for a former World Cup hero of their own, USA boss Jürgen Klinsmann. Ghana and Portugal will be fighting to push their way up into second place, and while Ghana have by far the easier task of it based on goal difference, they would both be relying on the USA to lose as well as getting a win themselves. My prediction – ultimately revising only the bottom two – is Germany – USA – Ghana – Portugal. And last but not least, Group H sprung a surprise, with Algeria notching four goals, matching their all-time best tally at a single World Cup over the last two games. Two more goals in the next game against Russia would see Algeria eclipse their total goals scored in all previous World Cups combined. Belgium, favoured to win the group, have laboured to notch up wins over both Russia and Algeria, but those wins will see them through to the next round. They face South Korea next. The right results could see any of the other three joining Belgium in the round of 16, but I’m going to go out on a limb and suggest that Algeria will get the job done with at least a tie, making it Belgium – Algeria – Russia – South Korea. After yesterday’s adventures, three teams have now been eliminated from the World Cup. In some cases, the elimination carries with it an air of inevitability – the draw is often unkind, and teams who managed the considerable achievement of qualifying at all are sent packing early. In others, though, it’s a shock of epic proportions. So yeah, Cameroon are out. Australia are out. Neither of these comes as much of a surprise. Spain are out. I’ll say this again, because at some point soon I need to start believing it. The phenomenon of a ‘golden generation’ of players is not an unusual one. A particular group of unusually talented players, often from a single club, develop at the academy level, graduate into the senior side around the same time, develop a tactical understanding and ultimately form the backbone of the national side. This was especially true at Barcelona, where a stellar crop of La Masia graduates propelled Barca to a period of almost unparalleled dominance, and became the core of an all-conquering Spanish side which won the last World Cup as well as the European Championship to either side of it. But all good things, as they say, must come to an end. Long experience, while useful, has also taken its toll in terms of pace. Opponents have caught onto what made the team tick. And in their two games so far, they have been outscored and outclassed. At this point, the Netherlands still have to face Chile, and Spain still have to face Australia. For the latter two, it is merely a matter of saving face at this point, but the former two will be vying for the top spot in their group and the avoidance of a probable meeting with Brazil in the next round. Today brings two more matches in Group C, and the England vs. Uruguay game in Group D. This too is a crucial clash, since the losing team will be eliminated. In the event of a tie, both will have to hope that other results go their way if they are to progress. The winner, though, could well be right back in the mix. Here, too, is another potential twist in the tale: If (and it’s a pretty big if) Croatia and Mexico battle their way to a scoring draw in the closing games of Group A, and Cameroon, now freed of any pressure, manage to beat Brazil, then Brazil will also be eliminated. That would be a twist for the ages. Each team has by now played one game (due to the scheduling, Brazil and Mexico will have already played their second by the time of posting, and we’ll get to that too.) It is not yet mathematically possible for any team to be out of the tournament, but there will now be teams with a heavy advantage, especially considering that of those 16 matches, only two(!) have ended in draws. So there are lots of teams on three points, and lots on none. Group A: Brazil and Mexico both claimed victories, Brazil a 3-1 over Croatia (albeit with a hotly debated penalty) and Mexico with an unconvincing 1-0 over Cameroon. It’s no surprise that Brazil are in the driving seat for this group, being favorites to win the entire tournament, but who will take second place? I believe that Brazil will defeat Mexico this afternoon, and Croatia will overcome Cameroon, a scenario which will see the two teams enter the final game of the group phase with only goal difference separating them, if that. I still fancy Croatia to edge Mexico in that final game to claim second spot. Group B: Well, the Dutch threw us quite a curveball, didn’t they? Oh – wrong sport. Robben, van Persie and their compatriots gave the viewers a masterclass to feast their eyes on as they crushed Spain 5-1, a game which will be long remembered. You could almost forget that there was another game in Group B, a comparatively ordinary yet nonetheless well-earned 3-1 victory by Chile over Australia. Spain come up against Chile next, and will be looking to redeem themselves. A convincing win would put them back in the mix, and a loss would probably put them on the next plane back to Madrid. Vital game there. The Netherlands also face Australia, and should be able to get a win. Maybe not as stylish and overpowering as the first game, but a win. That will effectively send Australia home, and leave Spain and Chile to fight it out for the right to face Brazil in the following round. Group C: Is it just me, or is this group not very exciting? For some reason, I’m having a hard time getting all that interested in any of the teams drawn together in this group. Nevertheless, Colombia put on a convincing display to cruise past Greece, while Ivory Coast snatched victory from the jaws of defeat, coming back from 1-0 down to defeat Japan 2-1. The two winning sides will face off this Thursday, and I imagine Ivory Coast will be playing a much more attacking strategy than Greece. Look for another hard-fought victory for the Ivorian team to top the group outright, and for either a Japan win or a scrappy draw with Greece. Group E: France got off to a flyer here, Karim Benzema netting the first of two hat tricks so far as France ran out 3-0 winners against Honduras. Switzerland became yet another comeback story with a goal in the dying seconds of the game to beat Ecuador 2-1. These two winners face off next, and you’ve got to fancy the winner of that game to take the top spot in the group, possibly with the other still taking second. Group F: This group was always going to be about Argentina, and I think it still is. They started a little more slowly than they will have wanted, and Bosnia certainly gave them a scare late on, but they held on for a 2-1 win. A 0-0 bore draw between Iran and Nigeria will be a boost to a Bosnia team which certainly matched Argentina for firepower at times. My prediction here is unchanged, Argentina topping the group and Bosnia going through in second. Group G: God Bless The USA, says the song, and it’s not hard to imagine that some benevolent entity was looking out for the American team as they found the net in the first half minute of the match, then survived a torrent of chances as Ghana outshot them by a factor of three to one. 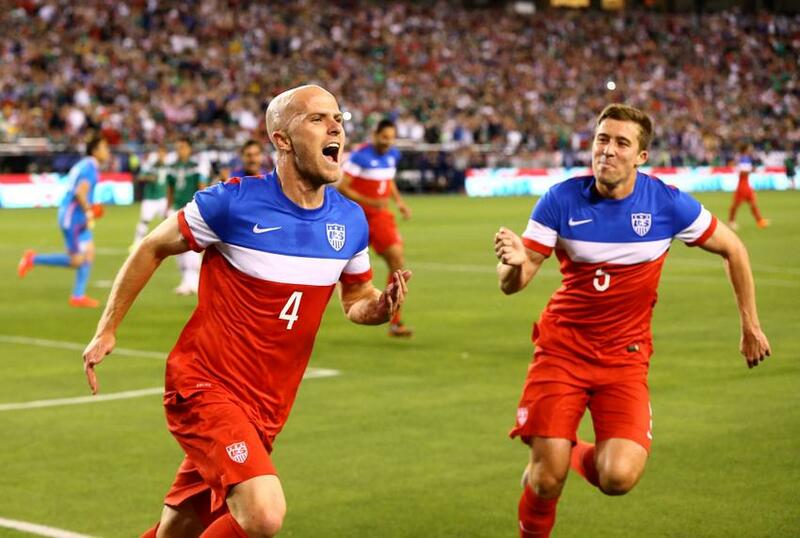 A late goal gave the Black Stars hope, but John Brooks sealed the three points and a 2-1 win for the USA. Ghana now face Germany, a tough fixture for any team. And then there was Germany and Portugal. That game was a massacre, and but for some profligate shooting from the Germans, it could easily have ended 7-0 or even more. A needless red card for Pepe, an injury to Coentrao and a full 90 minutes for a star player struggling to stay fit only compounded Portugal’s misery. The Portuguese will face the USA next as a much diminished force, and if the Americans take that game too they will seal second place in the group behind Germany. Group H: In the sixth (!) come-from-behind win of the tournament so far, Belgium outfought Algeria 2-1 while Russia and South Korea battled to a 1-1 tie. Belgium play Russia next, a clash which will very much determine the course of the group – a win will assure Belgium of qualification to the next round, but a loss would leave the group wide open. Similarly, a win for Algeria against South Korea would leave them very much in the mix, but a loss would effectively put an end to their World Cup. Everything still to play for, but a hard road emerging for some teams. And now that Brazil and Mexico have played again, let’s revisit Group A: the two teams scratched out a 0-0 tie in their second round to go level on 4 points at the top of the group. Brazil are ahead on goal difference by a solitary strike, which means that much will now come down to the final game, with another tie almost enough to automatically clinch qualification for either one. Rounding out the tournament are the four Group H nations. The only group without a South American – or even a Spanish- or Portuguese-speaking – nation, this group may have smaller audiences in the stands, but I expect some action nonetheless. Belgium are definitely a potential ‘dark horse’ team this year. The Red Devils, while perhaps not yet reaching the quality of their 1986 side (when they reached the semifinals and lost to eventual winners Argentina), have a wealth of talent in almost every position, and indeed reached an all time high of fifth in the world rankings late last year. One to watch will be Chelsea’s Eden Hazard, a player gifted with the ability to make defence-unlocking runs and create space for teammates. The last time coach Fabio Capello took a team to the World Cup, it was England in 2010. Now he’s back, this time at the helm of Russia. Capello’s authoritarian style seems to suit the Russian team, enough so that his contract has already been extended to cover the next World Cup. Built almost entirely from CSKA Moscow and Zenit St. Petersburg in Russia’s domestic league, this team will not be familiar faces to their upcoming opponents, and this may be advantageous. South Korea, co-hosts of the 2002 tournament, have also been quietly improving. Now making their 8th consecutive World Cup appearance, the Taeguk Warriors will be viewed as genuine challengers within the group. Coached by 2002 golden boy Hong Myung-Bo (who also led them to Olympic bronze two years ago) and boasting Bayer Leverkusen’s club-record signing Son Heung-Min, they certainly won’t be pushovers. English striker and World Cup 1986 top scorer Gary Lineker once observed, “Football is a simple game. Twenty-two men chase a ball for ninety minutes and in the end the Germans win.” Group G will in all likelihood provide the latest incarnation of that long-standing truth. Germany will open their tournament by playing their 100th World Cup game, a figure unmatched by any other team. Known for a relentless work-rate and smooth teamwork, Die Nationalmannschaft will shut down opposition attacks and punish any defensive lapses. Win a win rate higher than any previous Germany manager, Joachim Loew is going to be targeting nothing less than bringing home the trophy. They’ve got the quality to do it, too. 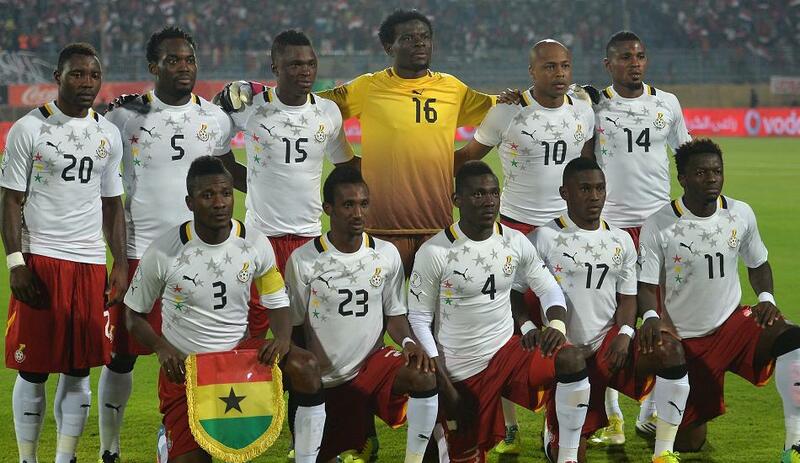 Ghana have for several years been one of Africa’s strongest sides. The Black Stars made it to the quarter finals in the last Cup, and would be fancied to put in another strong showing this year, if not for being drawn in a group with Germany and Portugal – ranked 2nd and 4th in the world respectively. The return of Michael Essien, a player comfortable anywhere in the defence or midfield, will be a huge boost to the team’s confidence, and to their prospects. Often maligned for ‘playing dirty’, Portugal have spent the last decade building themselves into a major force. The key player is of course going to be Ballon D’Or winner Cristiano Ronaldo. He’s brilliant, of course, but he has struggled with tendinitis in his knee of late, and may need to be used sparingly, at least in the early stages. The United States might well count themselves unfortunate at having received the draw they did, but they too have the quality to cause an upset. Knocked out by Ghana in both of the last two tournaments, they will be looking for revenge in their opening game. Jurgen Klinsmann has built a strong team, getting a national record 16 wins during 2013, but his approach has involved a lot of experimentation and there are questions as to how well the squad will settle. Group F! This could be an interesting one indeed. Not in terms of who wins – I think that’s probably pretty well locked up – but second could prove to be a mighty battle. 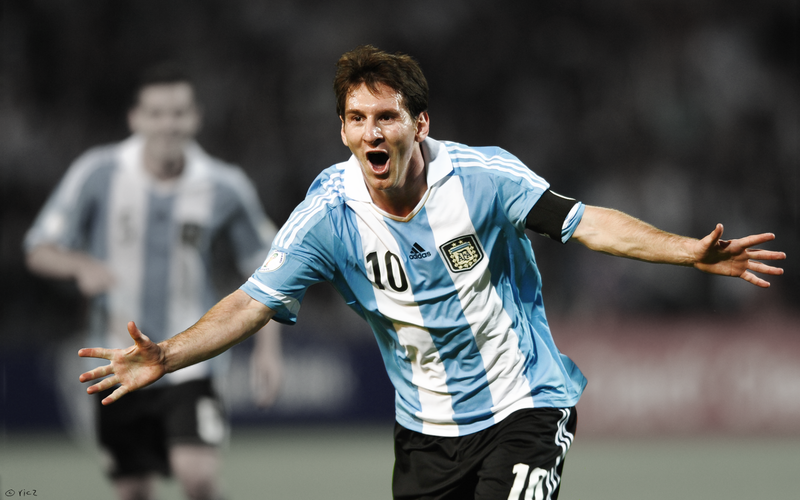 Argentina, boasting the awe-inspiring forward line of Messi, Aguero and Higuain, will inevitably score goals. While there are some defensive questions, you can usually rely on the Albiceleste to score more than they concede, and I think they will get out of their group with not only first place but maximum points. The Super Eagles of Nigeria will once again be trying their luck against Argentina, having faced them several times in previous tournaments. The war-torn nation has seen a greal deal of tragedy of late, and indeed one of the players on the Nigerian team barely escaped the bombing of his hometown shortly before leaving for Brazil. 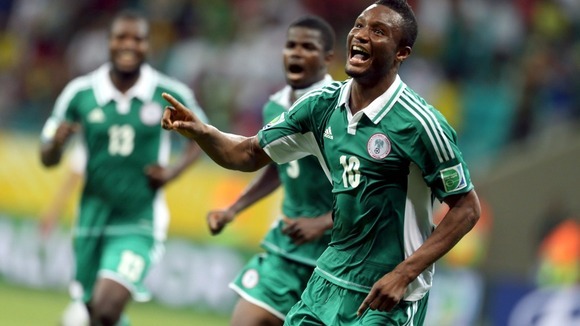 Expect a determined display from Nigeria, but they may struggle this year. Bosnia-Herzegovina are making their first appearance at a World Cup. This team is built predominantly around Manchester City hitman Edin Dzeko and Roma playmaker Miralem Pjanic, but they aren’t by any means a two-man team. There’s certainly a lot of danger throughout their starting XI, and I think they might just make it into second place. 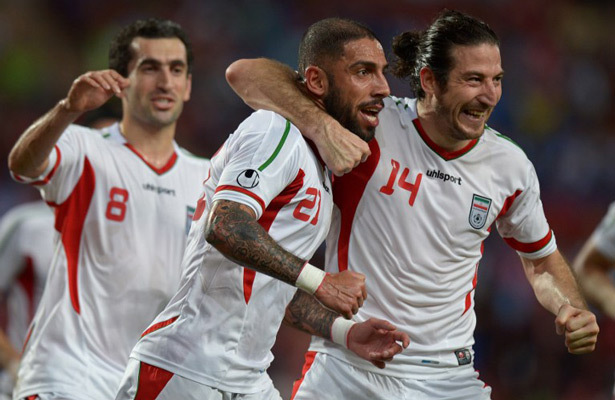 Rounding out the group is Iran, who remarkably scored more goals in qualifying than any other nation at the tournament. Their World Cup record is spotty at best, with just a single win – against the USA in 1998. Nevertheless, as the #1 ranked team in Asia, they have the quality to spring a surprise.